Music streaming service Spotify has inked a deal with Indian music label T-series to make all 160,000 of its songs available on the platform. This means Spotify listeners can now enjoy a large collection of Bollywood and Indian regional music. However, it doesn’t tell us much about when the Swedish company hasn’t announced any plans regarding a launch date in India. “Today’s deal with T-Series significantly strengthens our Indian music catalog, bringing Bollywood to more than 200 million Spotify users worldwide,” said Paul Smith, Director, Head of International Licensing at Spotify. Spotify opened an office in India in 2017 and has been trying to launch its service in the country. However, it reportedly faced serious challenges in securing rights to songs from major local record labels. The announcement of this new deal with T-series means things are moving in the right direction for the company’s India operations. 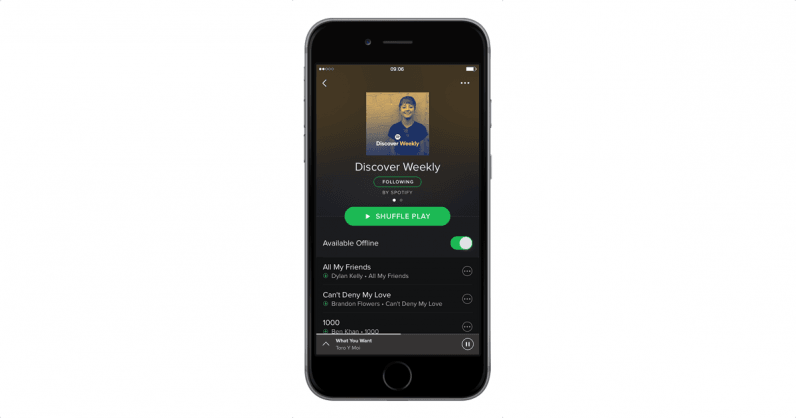 Last year, the company launched a new Indian music hub called Desi and appointed rapper Himanshu Suri as senior editor, Indian culture – another sign that Spotify is keen on building out its service for users in India. The company said that there are nearly 30 million subscribers of Indian origin on Spotify who live overseas. So it knows a bit about Indian music listeners and their search patterns. However, it’ll face tough competition in India from other players such as JioSaavn, Gaana, Airtel’s Wynk Music, and global competitors Apple Music and Google Play Music. In November 2018, Variety reported that Spotify aimed to launch in India within six months. We’ve got an eye on our calendar, Spotify, and we hope you do too. Disclaimer: An earlier headline suggested that T-series beat PewDiePie for the YouTube crown. We regret the error.